D-Tools, provider of data-driven system integration software, has announced its upcoming schedule of regional training events. A major focus of its Professional Services Group, D-Tools regional training events are designed to facilitate a broader use and deeper understanding of the full feature set of the System Integrator (SI) software platform. Consisting of three-day comprehensive, hands-on training events, course instructors will walk attendees through the entire D-Tools feature set, including the proper implementation and management of product catalogs, leveraging packages and project templates to increase operational efficiencies, and leveraging project data across the entire project lifecycle, from proposal and engineering through project and installation management. Trainings will be held from November 2–4 in Ft. Lauderdale, FL, at the Crestron Design Showroom, and Austin, TX, at the Screen Innovations Headquarters. D-Tools has also released a new, updated version of its flagship software platform, SI 2016. Available worldwide, the SI 2016 R3 release adds valuable new system design and productivity features and enhancements that enable commercial and residential integrators to maximize the efficiency of their business processes and increase profitability, while simultaneously reducing overhead. This latest release of the System Integrator platform aims to improve efficiency in virtually every functional area of the software: catalog, projects, system design, and reporting. Other drawing enhancements include the availability of Package Shapes for line drawings and plan views, and NFPA (National Fire Protection Association) Visio shapes for both the SI platform and FreeTools PSL app. Users can also now create off-page reference shapes that work with multiple selected wires, and receive prompt notifications when location and system shapes are deleted. In the catalog, users can now assign a default system for products, easily modify product search fields in Product Explorer, and automatically select "[Manufacturer] Only" when filtering to a manufacturer in Add Products from Library interface. In projects, the newest update allows users to convert items to accessories and accessories to items, add expected delivery date to purchase order items and project items, collapse or expand all in items view as a default in the project editor, add a shortcut for project notes or move the notes to its own button on the home ribbon in project editor, and add a shortcut menu to collapse all packages in project editor. Updates to the reporting functions allow users to set margins in metric, based on regional settings, and add options for auto-numbering on Report Groups. Service Orders and Tasks (with Mobile Install Signature) are available as standard reports, and FixedLabor, VariableLabor, UsePhaseLabor, FixedLaborCost, FixedLaborPrice are available as new fields for custom reports. The update also includes a series of QuickBooks and Mobile Install improvements. 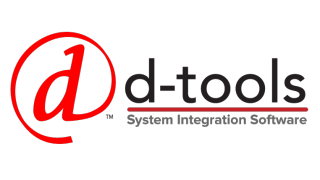 Those interested in learning more about D-Tools and the company’s System Integrator software platform are encouraged to sign up for a free demo by visiting the demo page or for a free 30-day trial, which can be downloaded by following this link.